Today, I want to tell you about one of the tastiest foods you will ever eat in Nairobi. It’s a burger unlike any other burger, found at Nairobi Java House, that is sure to knock the socks off your feet! How about I start by telling you about the first time this burger knocked the socks off my feet? It was a few years ago, at a time when eating at Nairobi Java House still meant eating at Adams Arcade. It was early evening, and I was meeting up with a friend to catch up on all the latest happenings in our lives. We had both come from work, and so decided to grab a bite as evening fell. I no longer remember what my friend ate that day, but I sure remember what I ate. I was in the mood for something simple, so I decided to eat a burger. Scanning the list of burgers, I saw at the very bottom a Ben’s Burger, a cheeseburger covered with mushroom sauce. That seemed an interesting way to spice up a plain cheeseburger, so I decided to try that! I don’t usually eat burgers. I find them a tad overrated. In short, they are simply glorified sandwiches to me. Sometimes, though, a juicy cheeseburger with real meat and cheese (I don’t know why anyone thinks a McDonald’s burger is anything to write home about. Yuck! Real meat and real cheese please!) accompanied with a serving of fries makes the perfect meal. Very rarely do I find burgers noteworthy. During the course of my lifetime, two burgers stand out for me. The first is the cheeseburger served at The Hamburger House at Vallon in Abidjan, Côte d’Ivoire during the ’80s and ’90s (does anyone know if that still exists? Update: Apparently it does–check the link); the second is the juicy (meat-at-its-best) hamburger at The Carnivore in Nairobi (truly a delight for meat lovers). That evening at Nairobi Java House, Adams Arcade, the Ben’s Burger became the third burger to join my burger A-list. The Ben’s Burger is a real gourmet’s delight: great meat with a great sauce to go with it! Biting down on a Ben’s Burger, which can be quite a messy affair, offers a burst of pleasure with every bite. As much as I love the Ben’s Burger, I don’t order it often because I am sure it is quite calorie laden (the woman in me does try to watch her figure). Recently though, I ate at Nairobi Java House with someone who loved that burger as much as I do. To sum it up, if you’ve never had a Ben’s Burger before, you definitely need to try it out. The next time you are at Nairobi Java House and trying to determine what to eat, just order a Ben’s Burger. I doubt you will regret it. Let me know what you think of the Ben’s Burger when you do try it. While you’re at it, why don’t you also tell me about your favorite burgers? I would love to know what other burgers I should be tasting. Thanks for your compliments about our Bens Burger. I actually work at Nairobi Java House as a Management Accounatant- dealing mainly with numbers and reports but I also share in the Passion the Java experience has created. Thanks! Thanks for the great experience that you provide us, the customers of Java, as a member of the Java team. I am a great fan of Java, not only for the Ben’s Burger, but also for the chicken salad, the vegetarian lasagna, the ham and cheese hot sandwich, the refried beans, and a slew of other stuff that you serve, like your hot drinks and bakery goods. Welcome to the Chick About Town community! Please keep reading to find out more about interesting things to do in Nairobi, and East Africa, in general. Please let us know of new things that are happening at Java so that we can partake in them. You can email me personally at [email protected], then I can share that with my other readers, or simply write a comment on one of my posts. It is a pleasure to receive feedback from you. Just fell totally unexpectedly on your article as I was looking for a club address in the Vallon area not far rom the Hamburger House. Just thought I’d let you know that yes the Hamburger House is still open though a bit quiet nowadays. There’s another one from the same chain in Marcory in the Cap Sud’s shopping center and this last one has always kept serving those same yumy ham and cheeseburgers to the crowds you used to like. Salutations d’Abidjan!! I am glad to see that Hamurger House expanded but i have no idea where Cap Sud is. I think I should visit Abidjan again some time soon! Anyhow, welcome to ChickAboutTown.Com. I am not sure how I can really serve you, but if ever you come to Kenya or the East African region, this is definitely the place to find out where to go and what to do. 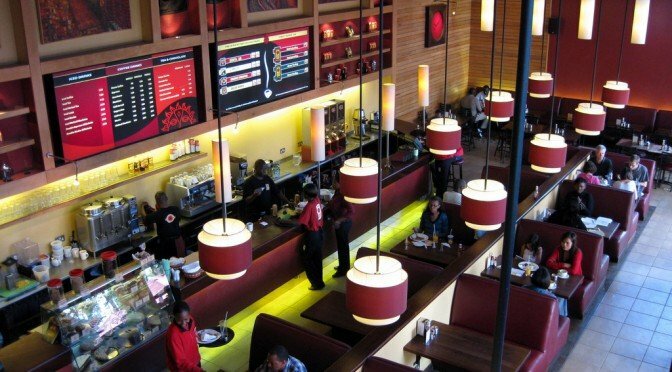 I have worked in at Nairobi Java House for two years as a Line Chef. I am no longer there but up till today, I boast of the culinary experience at the restaurant. Ben’s burger is just a tip of the iceberg. I recommend Nairobi Java House anyday. Miss you team. You mention that you are no longer with Java. Are you working somewhere else where the food is simply scrumptious that you would like to tell us about? I certainly don’t mind indulging you. A Line Chef is basically responsible for all the cooking/food preparation in the kitchen. Moreso, in Java, he/she also assumes several administrative duties. 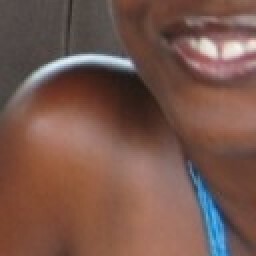 I have worked in 6 Java restaurants: ABC Place, Junction, Koinange, Gigiri, Adams and yaya. First and foremost, credit goes to Java for their signature soups. I am yet to find a match. I have been to several restaurants but they just serve the same thing. Java has a wide selection of soups ranging from vegaterain to non-vegeterian. My personal favorites are: spicy beef and peanut soup(gives you a kick start to the day) and cream of spinach. Other top dishes on the list are the steak and eggs breakfast and the spicy thai beef/chicken salad. The quesadillas are also to die for. The tortillas used to wrap them are so good you could have them as a snack. As for drinks, the milkshakes are extraordinarilly thick and very filling. Im not a coffee kind of guy but i love their malindi machiato and the mocha frostie(makes me love summertime). The pastry section is also very mouth watering. My mum is addicted to their carrot cake! But i always wonder why they took death by chocolate off the menu!! That was one incredible dessert. Oh…same goes for the fruit salad with yoghurt, honey and nuts. All in all, Java offers an excellent menu and all its menu items provide the value for your money. I have seen clients ranging from the current vice-president to a young teenager on a romantic date. Thanks so much for your lengthy reply. I enjoyed reading every word of it. 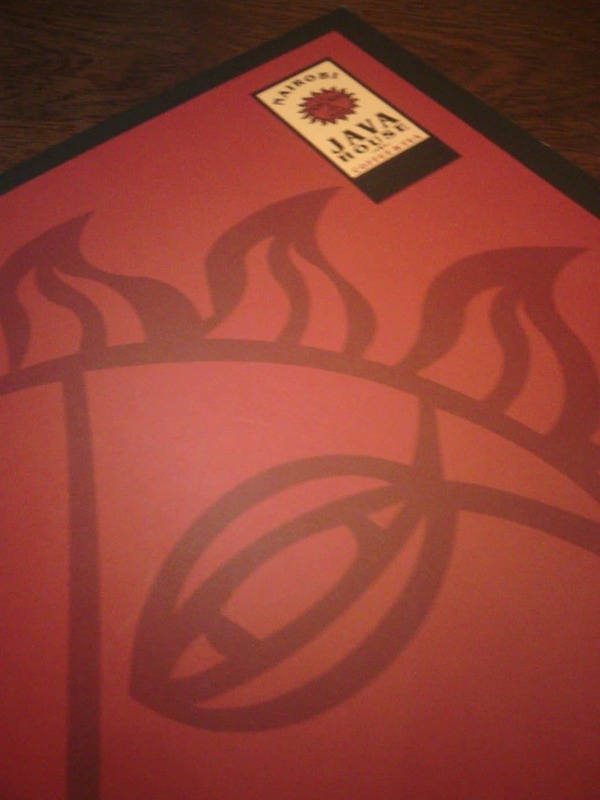 It’s funny that you mention items on the Java menu that I never even stopped to look at. I’ve never thought to have soup at Java and yet the soups you describe seem fantastic! I’ll definitely try one the next time I am dining at a Nairobi Java House. You’ve worked at 6 Java Restaurants in such a senior kitchen position?! Wow, I am humbled to be conversing with you. Thanks for your contribution in making the wonderful food that we’ve all come to know and love at Java. We, your customers, really appreciate it! The fruit salad with yogurt, honey, and nuts is a real treat. That was scrapped off the menu too? Thanks for sharing your views on Java’s menu. Coming from you, I’ll take your word for it and try each recommendation, one by one. In the meanwhile, I wish you all the best in your on-going studies. I hope to see more of you, here, around ChickAboutTown. Thanks for sharing this info. I will definitely pay it a visit on my next visit to Abidjan, which I hope will be very soon. do you put mastered or maionesse in the burger? Welcome to ChickAboutTown! About the mustard or mayonnaise, you’ll have to ask Java directly. As for the rest of your comment, I don’t quite understand it. Do you know the history of Ben’s Burger? Do you know who Ben was? You might want to investigate this.